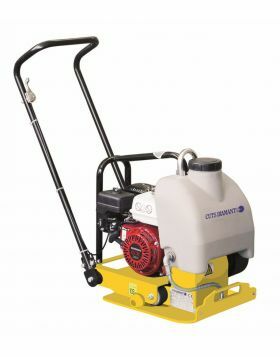 Vibratory plate compactor PVC 500 for compacting asphalt and interlocking paving stones as well as for the compaction of mixed soils in limited spaces. 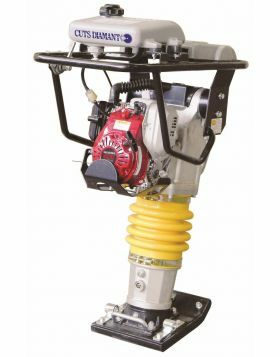 The robust and durable structure of this machine makes this vibrating plate the ideal machine for continuous professional use in road construction. It is perfectly suited for the compaction of sandy and granular subbases for sidewalks, roads and parking lots. The forward soil plate PVC 500 can be moved easily to the desired location on the construction site by using the standard wheel set.